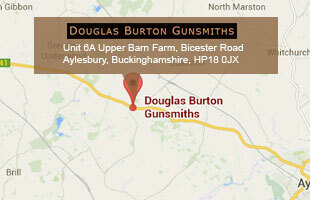 Douglas Burton is an experienced gunsmith trained to London standards. Douglas had a wide range of skills including Stocker, Actioner and Barrelmaker. Douglas’s speciality however lies in Barrel repairs from his his workshop near Aylesbury. 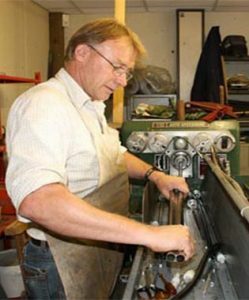 Restoration and repairs are carried out by Douglas Burton himself using traditional methods for English and Continental guns. These include barrel repairs, blacking, browning, boring out pits, relaying the ribs and preparing for proof. Being a gunsmith is a specialist skill and Douglas Burton has years of experience opening his first workshop at the age of 21 in Chinnor, Oxfordshire. With a wealth of specialist tools and expertise you are guaranteed a professional job. Restoration are repairs can be carried out on a wide range of guns from Triple Barrel Shotguns to Black Powder Muzzle-Loaders. To find out more email douglas.burton@ymail.com or call 07576 021 678. Visits to the workshop near Aylesbury are by appointment only. Douglas Burton Gunsmiths provide knowledgeable advice and assistance to valued clients from our dedicated workshop in Westcott, a small village on the edges of Aylesbury in Buckinghamshire. Read More.